In the final analysis, it is about balancing content and process and doing something useful with it, like solving an urgent problem facing society. Stuffing young minds with just content or advanced content for that matter is meaningless. It is like having the content equivalent of a high performance automobile. Without process (the steering wheel) there is little chance of delivering all that content to a worthwhile destination. This I fear is the greatest challenge facing all schools today, the ability to fashion steering wheels. I shall use another analogy. We are all vectors, possessing magnitude (content), and hopefully direction (process). The coin of the realm in the business world is being able to solve problems, complex problems, and to do so from a multi-dimensional and multi-disciplinary perspective—and usually in a project team format. If given a choice between incoming graduates, the business world on average will likely hire the ones who are more process competent. The steering wheel, to use the analogy immediately above, makes all the difference. Horsepower can always be increased later, but someone with not-so-good process skills will not last long in the professional world. Similar to the mantra of the educational world to integrate the curricula, business sees the need to integrate its decision-making, using a blended approach between the technical and non-technical aspects of a solution. Multi-faceted problem solving is the crème-de-la-crème of the business environment. This, executives reason is a “process directed thing”. There is also an emphasis on the rapid development of new knowledge, the integration and synthesis of raw data and information into strategic knowledge that can be used to achieve competitive advantage. Sociologists often refer to this time as the Information Revolution, but it may be more accurately described as the Knowledge Revolution, for it is a time of global inter-relatedness and intense international business competition, the success of which is governed by the ability to apply know-how (process + content) to problems and achieve economic solutions before the other guy. It would seem then, for students to be prepared for this highly competitive world, they should be adept at applying both process and content skills, and be educated within an environment of intense problem solving activities. Given the discussion above, ideally this would be conducted using open-ended problem solving challenges where student and/or student teams would approach the problems by first fashioning the problem statement themselves. Humans solve problems to seek solutions to a pressing need or want, and to gain perspective on their world. Students solve problems to gain practice in this life-long activity. Unfortunately, as is with any repetitive activity, we run the risk of going through the motions and forgetting the significance of the exercise. Students tend to believe with time there is only one, right, solution to a given problem….and this leads to a simplified world view. Any problem has multiple solutions, depending upon how you perceive it and the inquiries, i.e questions, you make of it. The problem solver determines the answer, as much as the situational context of the problem itself. Humans are the active ingredient, the creative element, the question askers, the catalysts, toward finding a solution. I suppose our penchant for seeking the right answer comes from what gets ingrained in us about solving math problems. After all, either 1+1 =2 or it doesn’t; but not so for many other types of problems. Having answers in the backs of books does not much help either, giving us a false sense of security that there is only one true answer. The high value currency of solving problems is the ability to ask good questions…..questions that will yield useful and interesting data and information. As we search through possible solutions we notice something interesting. Some solutions seem sophisticated, elegant, and more complete than others. The best solutions seem to possess a certain high quality. They are rich in texture, solved from an inter-disciplinary and multi-dimensional viewpoint, and appear as though they will stand the test of time. High quality solutions stem from the asking of high quality questions. There is no magic here, a Socratic form of classroom leadership to be sure; but it is congruent with the need to integrate the curricula. This is where the multi-dimensionality and multi-disciplinary aspects of high quality solutions comes in….from an appreciation of how subjects are linked together; and formulating these linkages into intriguing questions that examine the interface between the various dimensions of the problem. When we solve problems we should be trying to include consideration of these fundamental threads in both the question asking and solution formation. For instance, when trying to implement a new cross-cutting technology like nano-particles, it will most definitely have impacts on the fundamental threads, and hard questions need to be asked at the outset to help define a high quality solution down the road. Our problems today with the automobile and our dependence upon oil stem from our inability to get a high quality solution many years ago when the automobile was young, and question asking was in its simplistic infancy. There are penalties to be paid down the road (no pun intended) with simplistic solutions that lack multi-dimensionality and multi-disciplinary approaches. A superb educational paradigm that balances content and process is technology education. I was there at the beginning of its inception in the 1980s, and today 25 years later, it is a national phenomenon. It is a powerful testimony to motivating students to see the relationship between technology and the rest of the tapestry of civilization. In short, technology education is the study of the human designed world, with plenty of opportunity for head and hands problem solving and integrated, context-based design challenges. In this environment, the process component is focused on problem solving and the content is every other academic subject woven and blended into the solution. Technology is the very foundation of our economy, accounting for about 60% of the growth in our annual economy. It is all around us from cell phones to iPods. Its visibility makes its use in the classroom as a learning paradigm instantly recognizable, and wonderfully relevant. Introduce your gifted kids to the world of technology, and the joy of real-world problem solving. find rewarding second careers in many other fields. Engineers are highly prized by corporate leaders for their excellent problem solving skills and analytical/integrated thinking processes. Let’s put this discussion into perspective with some integrated thinking activities you might try in your classroom. 1.) Solve a complex problem from a single perspective first and then add new perspectives. For instance, solve a problem from first a technical perspective only and examine the result. Then add a second perspective like economics and re-examine the result. Later add an environmental perspective and re-solve and re-examine once more. Continue to add new design constraints and discuss how each new constraint acts to re-shape the solution and add texture and richness to the final result. 2.) 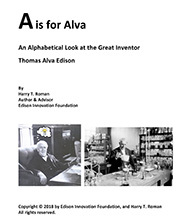 Engage your class in a detailed evaluation of how the world’s greatest inventor Thomas Edison combined his vast technical and scientific knowledge and his methods of research into what has often been described as his greatest invention….his invention factory in his West Orange Labs in West Orange, NJ. 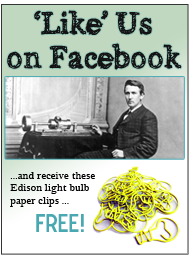 Here Edison formulated and put into practice the concept of an R&D lab which showed how to take a new idea from bench-level prototype to a commercial product. He employed scientists, engineers, technologists, mathematicians, and marketers (content knowledge) and motivated this through his project management staff and himself (process knowledge) to bring many new products to the consuming public. So successful was he, every major business today uses his content/process R&D project management model to bring new products to market. Experts believe his model is actually the codification of the industrial revolution, akin to the very same kind of revolutionary thought that gave us the scientific method. 3.) Have your students keep a journal or diary of their ideas and concepts so as to discover how they use a personal process to solve problems. In this journal, students can discuss how they perceive a problem, make inquiries of it, and then create/invent some potential solutions. The problem you may challenge them with could be quite practical, perhaps…. Design an educational card game to teach multiplication. In the journal, each student can record their thoughts and ideas and produce descriptions, sketches, diagrams expressing them; and over time, come to refine their initial ideas into potential new products. Here you can show the analogy of this journal to a scientist’s lab book or an inventor’s notebook. After the students complete their work, they can compare each other’s journals to identify similarities and differences in order to learn from each other. 4.) In the business world, the multi-disciplinary aspects of problem solving are represented by a diverse project team usually being assembled to solve pressing problems. The concerns and values assigned to certain aspects of the problems being solved are often visualized in a spreadsheet style format where new potential solutions to problems are weighed against a variety of corporate constraints like cost, availability of technology to solve the problem, possible environmental impacts of each possible solution, legal ramifications of the solutions, regulatory impacts of the various solutions, public acceptance across the solutions…..etc. If possible, invite professionals in from the business community to discuss how problems are solved and how a corporation goes about determining which new products are going to be developed and why. 5.) Bring the history of the country and the world into play as well, for this perspective teaches us how humans have shaped their world over time. This directly influences how questions are asked and visions for the future are conceived. Look at the global warming argument—examine it as a proposal to not only switch to different fuel forms, but as a different way of living, a virtual change in the living process, driven by a changed set of knowledge about our planet and its evolution. Here content can drive process. Examine other human life changing events of the past to see if similar events occurred in human history. Was the nomadic nature of early man converting to an agrarian society of similar impact and import…why/why not? Baldwin, Neil; “Edison, Inventing the Century”; Hyperion, 1995. Costa, Arthur L. (ed.) and Liebmann, Rosemarie M.(ed. ); “Envisioning Process as Content: Toward a Renaissance Curriculum”; Corwin Press Inc. ,1996. Costa, Arthur L. (ed.) and Liebmann, Rosemarie M.(ed. ); “Supporting the Spirit of Learning: When Process is Content”; Corwin Press Inc. ,1997. 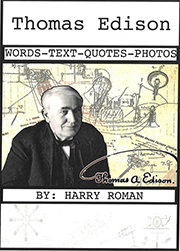 McCormick, Blaine; “At Work with Thomas Edison”; Entrepreneur Press, 2001. Fitzhugh, Will; “Process vs. Content”; The Concord Review, June 20, 2006. ITEA; “Standards for Technological Literacy: Content for the Study of Technology, andAdvancing Excellence in Technological Literacy: Student Assessment, Professional Development, and Program Standards”; International Technology Education Association (ITEA), 2007/2003. Roman, Harry T.; “Technology Education-Process or Content?”; The Technology Teacher, Vol. 60, No. 6, March 2001, pp. 31-33. Roman, Harry T.; “Multi-dimensional Thinking: The Key to the Future”; The Technology Teacher, Vol. 62, No. 5, February 2003, pp. 21-23. Roman, Harry T.; “The Undeniable Link Between Engineering and Technology Education”; The Technology Teacher, Techdirections, November 2006, pp. 16-19. Tomecek, Steve; Teaching Science: Yes, You Can! : 100 Hands-on Activities and Easy Teacher Demonstrations That Reinforce Content and Process Skills to Get Kids Ready for the Tests, Scholastic, 2007.